needle also. 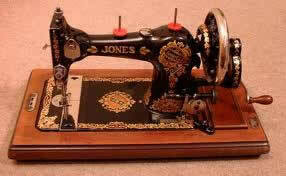 They are still found today in the embroidery industry. result a loop on the underside of the fabric. into production. 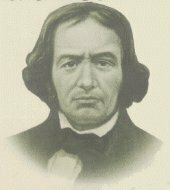 He died in 1850 at age 82, in Vienna in a retirement home for the needy. was pushed further sidewise to obtain the same stitch length wise. into a circular depression xithin the hook, against which they are held by the bobbin holder. 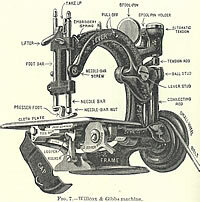 The Wheeler & Wilson Sewing Machine Company was very leading in the area, but was not financially strong enough to exploit the rapid evolution. 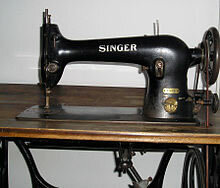 She was bought by the Singer Company. 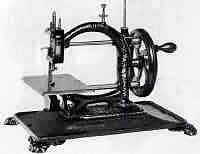 Isaac Merrit Singer, a former circus director has the great merit of making the sewing machine available to the general public. 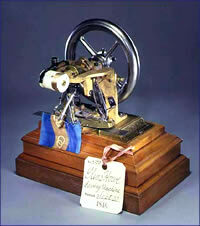 He is the great developper of the American sewing machine industry. 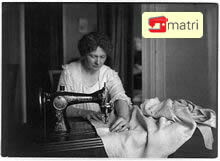 The first machine made by Isaac Merrit Singer was patented in 1851.
more suitable for industrial than household use. 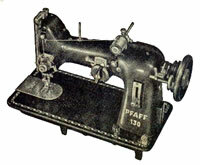 of the Pfaff Industrie was laid by Georg Michael Pfaff. form. The spool is located on the needle bar. 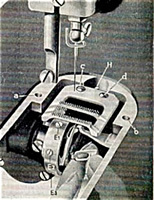 conceived the idea of ​​a rotary hook, but did not develop this principle further. 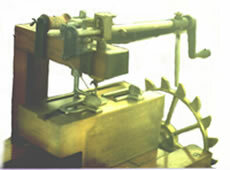 Gibbs produced later with Charles Willcox a sewing machine in which the principle of the previously developed rotary hook was used, which he patented in 1857. The company still exists but only makes industrial machinery. 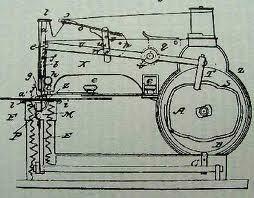 In 1855 Wheeler & Wilson show their machines with transport of fabric for the Universal Exhibition of Paris. 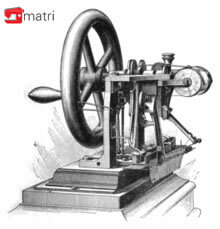 1858 In America, more than 100,000 sewing machines already in are in use and enterprising engineers start being interested in sewing machine and later manufacture. 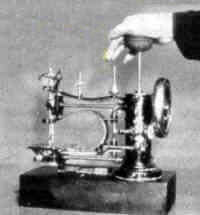 The machine shown is a chain stitch. 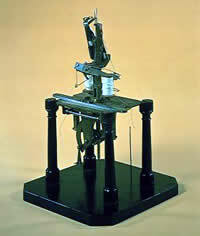 1860 This elegant machine is constructed in France and has a free arm. needle, a big long bobbin and a flywheel at the bottom. 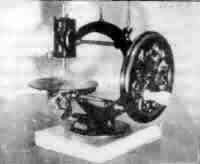 machines were produced. 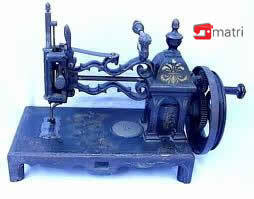 Generally, this machine was similar to the machines that were producted in the early 20th century. 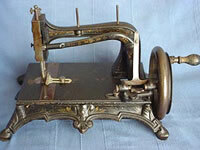 1870 More and more machines are produced with a bobbin, this machine was manufactured in Rouen. this machine makes 200 stitches per minute. button is being started. Horizontal oscilating shuttle. 1880 The 'Original Rhemania' of the Firm Junker & Ruh. A real German construction: Solid and heavy construction. Long shuttle. The upper back can be overturned. Drive is done by means of the large hand wheel. 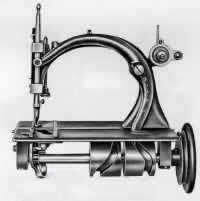 1882 The year of the zig-zagmachine. The first zig-usable zagmachine sees the world. The German, John Kayser, from Kaiserslautern, takes them to the market. 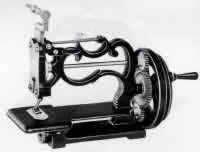 Kaysers construction made it possible to set the zigzag stitch larger or smaller by the use of the zigzagbutton. 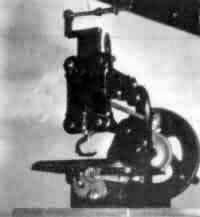 This machine has already an elongated hole of the needle plate, as this is the case today with the modern zig-zag machines. 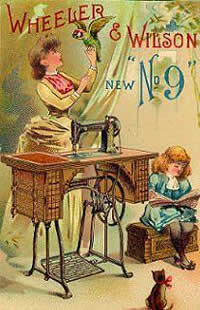 shuttle, the machine with the bobbin becomes very popular. 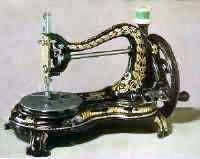 The models in this period hardly changed and all the machines were and remained black in color with gold and silver ornaments and often inlaid with mother of pearl. 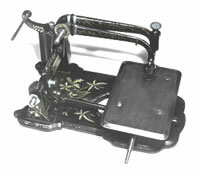 However, new is, the introduction of the Pfaff 130 zigzag sewing machine with rotary hook, designed by a Dutch engineer. 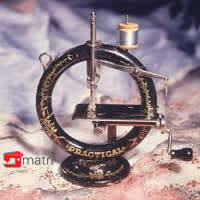 Particularly suitable for tailors and home producers. 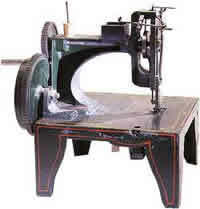 this machine is still very popular in countries like Pakistan and India, where it is used for the home industry. 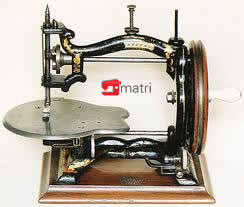 heavy in weight, had a black color, were called flat design and were operated by hand or threadle. 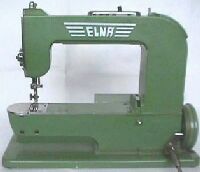 Elna had other brands worldwide were other brands machines more or less forced to follow Elnas path. But not only this! 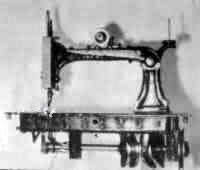 Because it was also possible with the "double" cams, to regulate forward and backward transporting of the fabric, thus it was possible to obtain any desired pattern.